I was born, the fourth child in a family of six in 1943, and cannot say when my parents first began holidaying at Hardcastle Crags. I do recall mention of a “Cosy Corner Café” at Hebden Hey, I think. We all lived at Wallasey on Merseyside and every year Dad booked a cottage for two weeks at Gibson Mill. 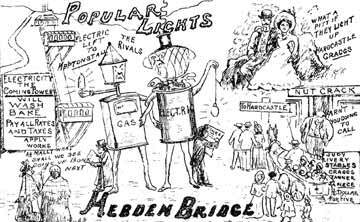 We made the journey by train from Liverpool to Hebden Bridge, always something of a trial carting luggage for a large family on a budget. The two weeks always seemed to fly by. The whole family would play together, walk a lot, and enjoy the fresh air and beautiful scenery. Places we visited included Lumb Falls, Wheat Ing and Blakedean Valley and I remember walking across the moors to Haworth to see the Parsonage.